BACK ON MARKET. 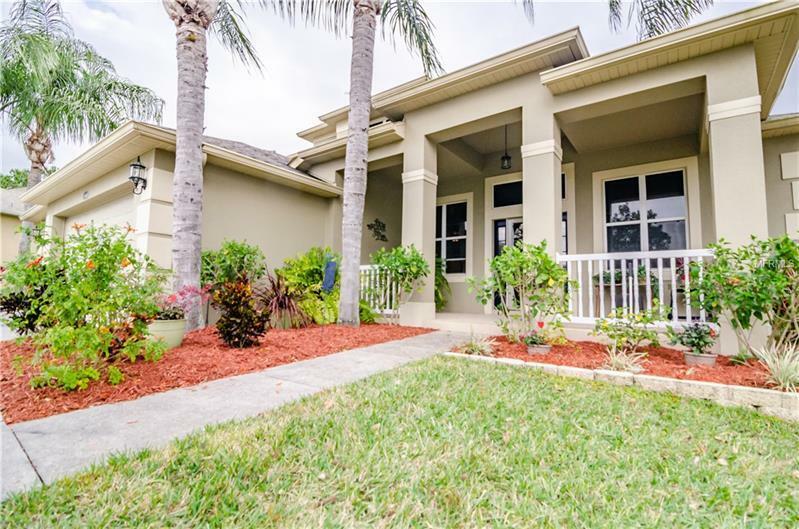 This home is a must see- A Beautiful 5 bedroom, 3 and a half bath, 2-Story Pool home -- Featuring the Master Suite downstairs with open sitting area-french doors taking you out to the private salt water pool with solar heat and screened in lanai with gorgeous pavers. The Master bath features an exquisite roman tub, double vanity and a large customized walk-in closet. Well maintained and freshly painted with tasteful DÃ©cor. The home features the additional 4 bedrooms upstairs and the 5th bedroom can also be used as a Media Room or Game Room, The home has a family room, formal dining, breakfast nook and living room overlooking the kitchen. Kitchen is spacious- with plenty of cabinet space and a desk area as well. Desirable 3 Car Garage and fenced in backyard.